This description of David Yeung's work was prepared when David Yeung was elected to the Ashoka Fellowship in 2018. David is seeking to reduce the vast consumption of meat in the Hong Kong and Chinese diet by introducing the public to a new, more sustainable plant-based choice in diet. He is creating a market for plant-based alternatives that are appealing and relevant to Chinese consumers, encouraging people to consciously begin eating less meat, and to make it easy for them to do so. Recognizing that it is neither realistic nor necessary to convince a significant part of the Chinese market to adopt strict vegetarianism, his goal is that many people reduce meat consumption, rather than having a few avoid it altogether. 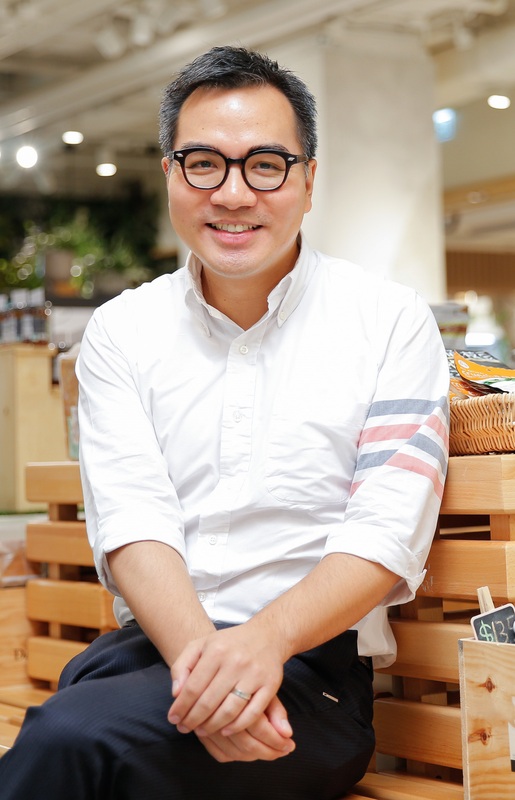 To bring about this mindset shift amongst the Chinese population in Hong Kong, David builds demand by nudging people and companies to take small steps toward sustainability, by making plant-based products aspirational, and by positioning plant-based food products as relevant in traditional Chinese recipes. Through a highly successful Green Monday campaign, he works with companies, cafeterias, restaurants, schools and others to encourage people to be more conscious about their food decisions. Through a chain of Green Common stores and restaurants, he creates a highly compelling experience for people to try plant-based alternatives. David’s approach is to offer plant-based alternatives to meat that enable Chinese consumers to try meat-free alternatives to popular dishes without having to radically alter their diet or tastes. He addresses supply by distributing plant-based meat alternatives in Hong Kong but also by innovating new products specifically for the Chinese market. By bringing innovation into food, these alternatives look and taste like meat and can be readily incorporated into traditional recipes, making it easy for consumers to switch to a more sustainable diet. This helps Chinese diners to begin switching to a more sustainable diet in a simple and easy way, while continuing to enjoy the dishes that they are already used to. David’s goal is to encourage Hong Kongers to begin reducing their meat consumption in small ‘baby steps’ that over time will have massive environmental impact. Hong Kong has the highest per capita consumption of meat in the world. According to Euromonitor, the average Hong Konger consumes nearly 144kg of meat (including seafood) per year, almost double that of mainland China (78kg), and six times that of India (23kg). These wide differences are not due simply to income. Similar economies such as South Korea (102kg) and Japan (60kg) consume far less meat per capita than Hong Kong. To meet this demand in consumption, the mass livestock production which includes poultry, pork and beef has an impact on the climate and environmental degradation. Methane produced by livestock is one of the most potent greenhouse gases causing global warming and hence climate change. Methane traps heat 100 times more effectively than carbon dioxide, and the methane from livestock globally accounts for nearly one fifth of all greenhouse gas emissions. Underlying such high per capita meat consumption in Hong Kong are deeply-rooted cultural factors. The local cuisine is very meat based, with typically four out of the six dishes in a typical family meal containing meat. Meat based soup also features heavily in traditional Cantonese cuisine. Hong Kong has a strong culture of dining out, with hosts typically expected to show their generosity by ordering signature dishes in restaurants which are usually meat based. A high level of food waste is also a problem, with over one third of restaurant food being thrown away. In addition to cultural practices, traditional beliefs also play a role in high meat consumptions. Eating less meat is often seen as unhealthy, and people who choose to do so are poorly understood by family members and their community or assumed to be devout Buddhists. Moreover, there are currently few options available for Hong Kong Chinese people who choose to substitute away from meat or other forms of support, such as Chinese restaurants catering for this trend or supermarkets stocking high quality meat substitutes or providing alternative meat-free recipes. This high level of meat consumption is already placing a tremendous strain on the environment. If neighbouring South China, which is rapidly growing in affluence, were to rise to the level of meat consumption in Hong Kong, the food system would collapse. Aside from the methane, cultivating livestock is at least 50 times more water intensive than growing vegetables for direct human consumption. To avert ecological disaster, David is seeking to slow the rising demand for meat in China, starting with Hong Kong. David’s strategy is to create a market for meat-alternatives from both the supply and the demand side. He is persuading the Hong Kong public to try vegetarian versions of popular meat dishes and building awareness around environmental impact of food choices. David launched the campaign Green Monday in 2012 to build public awareness of the ecological benefits of reducing meat consumption. This was the first campaign of its kind in Asia, aimed at persuading the public to try eating green one day per week. It is not quite the same as the Meatless Monday campaign seen elsewhere. The goal is to present eating sustainably as a positive and tasty lifestyle choice, and the encouragement is not to completely avoid meat, but rather to try eating less meat in favour of vegetarian alternatives. David’s key insight was that Green Monday would only achieve massive scale by making sustainable eating attractive, simple and easy, where people feel they are gaining rather than sacrificing something. Green Monday seeks to influence eating habits of many stakeholders, including companies, restaurants, schools and universities. Its menus are now offered at more than a thousand restaurants and corporate cafeterias and over 800 schools in Hong Kong, featuring many classic meat dishes re-imagined with vegetarian alternatives. Green Monday has also been adopted by more than 2,000 schools and 600 universities in over 30 countries, directly influencing more than 1.5 million students outside Hong Kong. Green Monday has also been taken up by several major hotel and restaurant chains such as Pizza Hut and Bon Appetit. Green Monday provides to participating restaurants and companies specific environmental impact metrics resulting from their participation. The campaign has succeeded in part through David’s strategy of leveraging the competitive dynamic between companies to one-up each other. The result has been that some of the participating companies have decided to take additional steps toward sustainability in other areas, such as electricity usage. A third-party study by market researcher IPSOS showed that before Green Monday launched, fewer than 5 percent of Hong Kong’s 8 million inhabitants had a goal of lowering their meat consumption. Today (6 years later) this figure has increased to 22 percent (i.e. 1.8 million people). David is particularly focused on reaching students and young people. He finds that young people not only immediately ‘get’ the reasons for eating green, but they are very good influencers of their parents and families. He also finds that once a person has begun consciously reducing meat, they become much more aware of the impact of other forms of consumption, such as water, clothes and plastic. The behavioural change initiated by Green Monday therefore goes beyond food choices into every aspect of a person’s consumption – David is helping raise a whole generation of environmentally and ethically conscious consumers. A core part of David’s strategy is to develop and introduce plant-based alternatives for traditional meat recipes to the public. Through his chain of Green Common restaurants/stores across Hong Kong, he has pioneered in Hong Kong the availability of existing meat alternatives such as the Beyond Burger, as well as Beyond Bao, a meat-free version of the popular Chinese dumpling, and Just Scramble, an alternative to egg (China consumes one third of all eggs in the world). In addition to making such products available in through Green Common, David has facilitated their distribution in over 200 stores in Hong Kong. David’s team is also creating new products specifically for the Chinese market, starting with what they have introduced as “omni-pork,” a vegetarian substitute for China’s most popular meat. The goal is to provide people who wish to substitute away from meat with high quality plant-based alternatives that help them make the switch while still providing them with familiar textures and flavors. Green Common provides recipes for re-imagined popular Chinese dishes using these products and offers them in their restaurant across Hong Kong, so that Chinese people can see how they can be used to re-create or even improve traditional dishes, thereby creating massive popular demand and customer acceptance for this new cuisine. David has been very successful at getting popular chefs to create new meat-free recipes using the substitutes and celebrity endorsement to build a popular movement around “going green.” Green Common now has 6 stores/restaurants in Hong Kong, including its flagship Kind Kitchen. With the motto “make change happen,” Green Common has been designed to be easily scalable and will soon be ready for expansion outside Hong Kong to other parts of Asia. The third element of David’s strategy is to build the ecosystem which will build the innovation in sustainable food and keep bringing to market more and better products that help consumers eat sustainably. David has launched Green Ventures, which invests in entrepreneurs developing new and better meat-free substitutes as well as developing other sustainable non-meat-based products to cater to this new growing market. Among its first investments was Beyond Meat, a company developing a plant-based alternative to beef. David is investing in the R&D for food innovation and is creating the pathways for new products and recipes developed by Green Ventures to make their way to the Chinese diet. David’s three elements (Green Monday, Green Common and Green Ventures) each play an interconnected role in persuading Hong Kongers about the benefits of reducing meat consumption, offering plant-based alternatives to meat and supporting companies serving this new market. In this way, David is inspiring millions of people to make the shift to a more balanced, sustainable diet. David was born into an entrepreneurial and philanthropic Hong Kong family. David draws inspiration from his grandparents, who although from a poor family were actively involved in charity. From his teenage years, David was entrusted to help run the family foundation, and spent many summers making trips to rural Chinese villages designing and implementing community projects in healthcare and education. David graduated from Columbia University in 1998 with a degree in engineering, spent a few years consulting for PwC and then launched a software startup, where he developed his entrepreneurial marketing skills. David himself did not become vegetarian until he was 22. He describes becoming vegetarian as a slow process of realisation, as he learnt about the environmental consequences of meat production as well as the cruelty of modern industrial farming, which clashed with his growing interest in Buddhist ethics including compassion for animals. In his mid-twenties he decided to return to Hong Kong to re-join the family business. It was his experience of explaining to his family and friends about his decision to be vegetarian and encountering much of the misunderstanding which often greets Chinese vegetarians, that made David realise how hard it was to be vegetarian in a Hong Kong family. Moreover, David realised the frustrations of trying to find shops catering for people who wished to cook traditional Chinese recipes without meat or finding substitutes for the meat in the dish. This personal experience inspired him to start the Green Monday campaign, and later launch Green Common to cater to people who looked for alternate choices in their food. As Green Monday grew, David made the difficult decision to leave his family business and devote himself fulltime to what he knew was his passion. David knew that he would have to be an advocate and an educator, as well as an entrepreneur, to ensure that Hong Kong offered the products for Chinese people substituting away from meat while still eating traditional Chinese cuisine. David is a systemic entrepreneur who sees changing the trajectory of meat consumption in Hong Kong / China and across Asia to ensure environmental sustainability as his life mission. He is fully committed to making this impact through a unique and comprehensive strategy which combines advocacy, education, experience and innovation.